Inspector John Crow is a tall, ungainly man. He never looks like he fits in anywhere, and even less when he’s called in to a small town to take over a murder investigation from the locals. They have a murder case to deal with already – an unusual circumstance – so they’ll have to endure his presence, and that of his assistant, Sergeant Wilson. In The Woods Murder, by Roy Lewis, a solicitor named Charles Lendon has been found in a forest hut, an iron skewer thrust through his heart. There are many people who might possibly have wanted Lendon dead. For one thing, he was an inveterate womanizer, and made no distinction between married and unmarried women. Also there’s a farmer who blames him for the death of his daughter (this is the previous murder mentioned above). Lendon closed off a lane through his woods which children used to use as a shortcut. With that way blocked, they have to take a longer route now – and the farmer’s daughter was killed along that route. But there’s more to Lendon than is commonly known. As Inspector Crow uncovers layers of old secrets and lies, it becomes a possibility that his death might not have sprung from his sins – but from his (few) virtues. 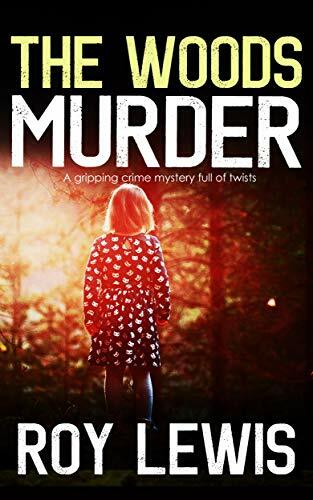 The Woods Murder is part of a series of books published back in the late 1960s, and republished now. I thought I might find it more congenial than a lot of politically correct contemporary books. And it was all right, but I must admit I didn’t love it. I guess I’ve gotten used to a more character-driven style of storytelling. Nothing against this book, but it didn’t ring my bell. I’m not sure how any publisher would let a self-indulgent line like that stand in a popular novel. But I suppose the rules were different back then.